Reminiscent of a quiet, rainy mist, white crystals flow down below a sea of grey. I have been working a lot lately on trying to push my glazes into different directions. My hope is that this round of experimentation will help me to develop a more personal style, something that a lot of effective artists will continually strive to achieve. Instead of choosing more and more glazes and testing them each to the nth degree I have chosen a small select few and pushed them. How they are applied and how they are fired makes a huge difference. Toasty hues break over a cream exterior. Perfect for Maples! 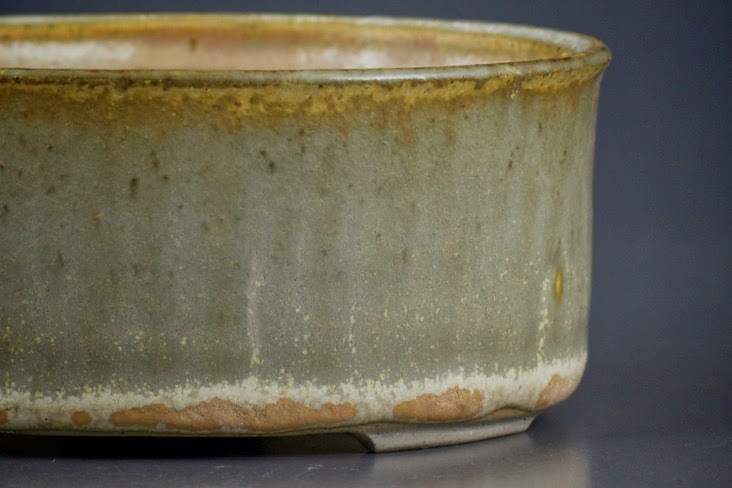 Some of the most effectively balanced bonsai compositions are represented in pots with a quiet subtle glaze. 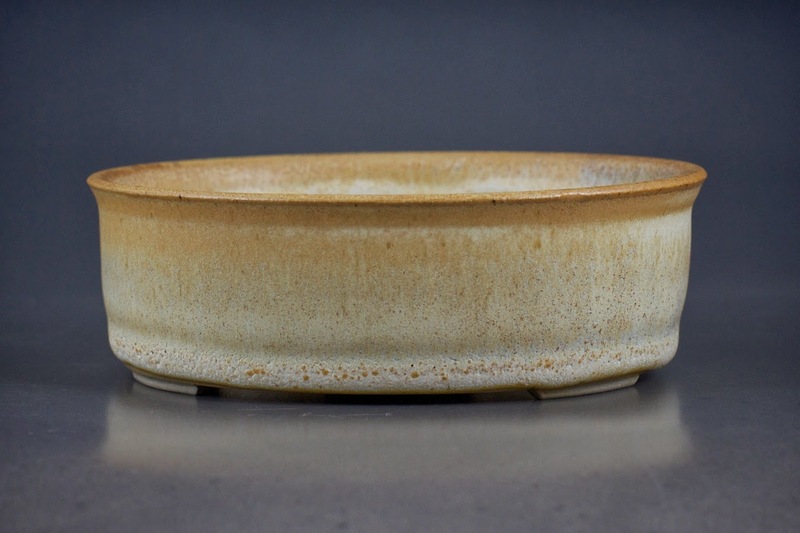 Perhaps a buttery matt glaze...nothing too flashy. It should have a muted tone with more than one hue (color) in its overall visual makeup. In other words it should have a main color with other ones breaking through. I have been developing a group of glazes that do just that. 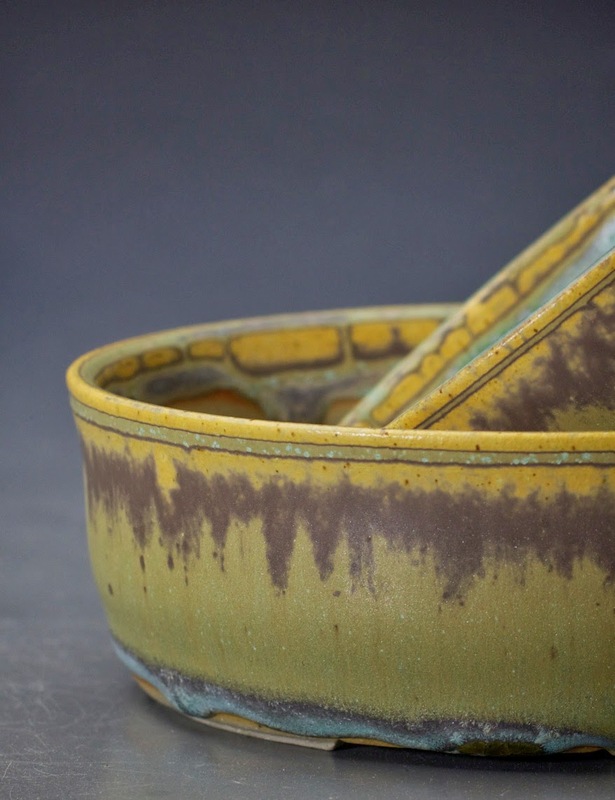 The best way to go about developing glazes to fit your needs as a ceramicist is to find qualities that appeal to you and push their boundaries. How else will you learn it's limits? Try changing their application and method of firing. I have found that it can lead to new horizons of discovery and direction!